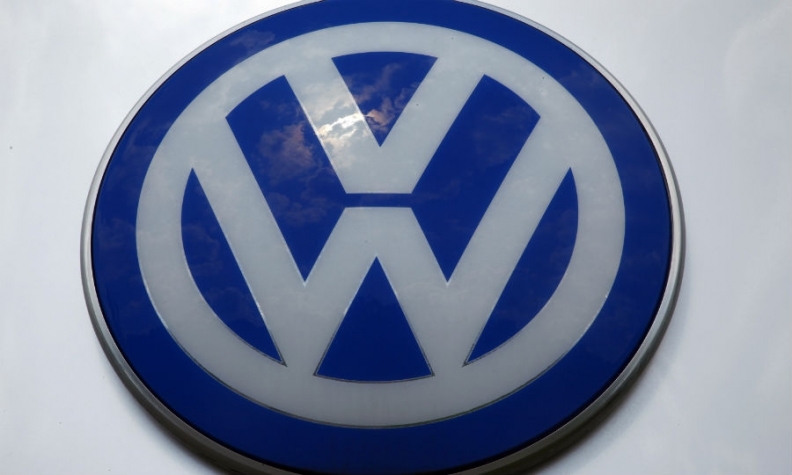 FRANKFURT (Bloomberg) -- As Volkswagen Group's first dividend cut in six years looms in the wake of the diesel-emissions scandal, the automaker must balance the interests of labor, government and family power brokers against those of investors who have felt short-changed for years. VW's two largest shareholders, the Porsche and Piech families and the German state of Lower Saxony, have said they want to protect jobs. That interest aligns with labor leader Bernd Osterloh, who also sits on Volkswagen’s supervisory board. Holders of non-voting shares, meanwhile, have complained for years that Volkswagen’s dividend fell short of its German peers. Last year the company distributed 21 percent of profit to shareholders, less than half the average of companies on the benchmark DAX Index. One unidentified supervisory board member said it’s unlikely the carmaker will pay a dividend at all, German newswire DPA reported on Tuesday. Investors are expecting something, however. The carmaker may slash the dividend by more than half, to 2.37 euros per share, according to analyst estimates compiled by Bloomberg. That would equal about 14 percent of the 17.80-euro average estimate for adjusted earnings per share. "They can definitely afford a payout to shareholders," said Sascha Gommel, a Frankfurt-based analyst at Commerzbank, though it would be "reduced substantially due to costs booked toward the end of last year." Paying a dividend might cost Volkswagen about 1 billion euros ($1.14 billion), Gommel said, a manageable sum especially in light of the 2.2 billion-euro gain the company will book this year from the sale of its stake in fleet-management company LeasePlan Corp.
Volkswagen paid out 2.3 billion euros in 2014 dividends, amounting to 4.86 euros per preferred share, which don’t have voting rights, and 4.80 euros per common stock. The Porsche and Piech families control 52 percent of the voting stock, while Lower Saxony holds 20 percent and the emirate of Qatar 17 percent. Outside shareholders, who are largely restricted to owning the preferred stock, have little say. The company said it won’t comment on the next investor payouts before it publishes 2015 earnings on April 28. Europe’s largest automaker is facing a decisive month. It must hammer out a settlement with U.S. authorities before a court hearing scheduled a week before its earnings release. It also plans to present findings by the end of April from internal and external investigations into how it came to install software designed to cheat emissions tests in some 11 million cars worldwide. VW has yet to specify how it plans to digest what will be billions of euros in costs to recall the cars and pay for fines and hundreds of lawsuits. It set aside 6.7 billion euros in the third quarter last year but has already acknowledged this won’t be enough. The total cost will remain difficult to quantify until there’s a U.S. settlement. VW’s net liquidity stood at 28 billion euros at the end of September. The company has said in the past that it needs about 10 billion euros to fund day-to-day operations and that it has no plans to sell or spin off some of its dozen brands. Until the diesel crisis, Volkswagen said it would lift its dividend payout ratio to 30 percent of profit in the medium term. Its inchworm progress toward that goal has been one of the few points of criticism at shareholder meetings this decade, as the manufacturer kept raking in record profits. Investors argued that Volkswagen had shortchanged them even as it spent lavishly on acquisitions, including motorcycle maker Ducati, and sold new shares to finance the complete takeover of truckmaker Scania. Chairman Hans Dieter Poetsch said on Feb. 29 at the Geneva auto show that Volkswagen is aware that dividend policy is “an important topic,” without elaborating on the possible effects from the emissions manipulation. Shareholders have also taken a financial hit from the drop in Volkswagen stock since the crisis broke. The company has lost 15.7 billion euros in market value since Sept. 18. Lower Saxony Prime Minister Stephan Weil said in an interview in January that he’s not primarily focused on reaping dividends and instead views the German state’s stock ownership as a long-term, strategic investment to support the regional economy. VW has its headquarters in Lower Saxony. A dividend cut wouldn’t have a direct impact on existing public projects as financing has been set aside in previous budgets, a spokesman for Lower Saxony’s finance ministry said in an e-mailed statement. A decision on a possible dividend hasn’t been made yet, so any comment on forgoing a payout is “pure speculation” at this point, said Albrecht Bamler, a spokesman for Porsche Automobil Holding SE, the holding company for the Porsche and Piech families’ stake. A London-based spokesman for Qatar Investment Authority also declined to comment.